Where to Buy Orthene 97, Orthene 97 Insecticide - 0.773 - 7.73 Lb - $16.08 for Sale with Fast Free Shipping! 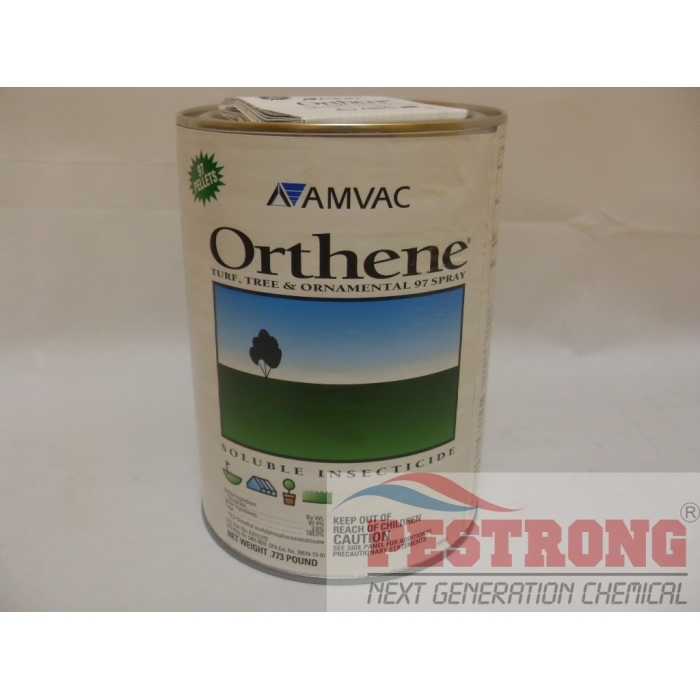 Orthene 97 Insecticide - 0.773 - 7.73 Lb is the proven choice for key insect control in dozens of high value vegetable crops as well as soybeans, cotton and tobacco. Abamectin 0.15 EC Lucid Generic Avid - Qt -..
Orthene 97 Insecticide - 0.773 - 7.73 Lb is the proven choice for key insect control in dozens of high value vegetable crops as well as soybeans, cotton and tobacco with its dual mode of action, contact and systemic activity. Acephate, the active ingredient, gives Orthene 97 its powerful one-two punch of contact and systemic activity. It rapidly penetrates plant tissue to reduce chances of washing away in rainfall or irrigation and provides up to three weeks of dependable residual control of dozens of damaging pests from aphids to worms. Orthene 97 may be applied using aerial, ground and air blast or air assisted equipment. Aphids, Japanese Beetle, Tent Caterpillar, Rose Budworm, Oblique Banded Leafroller, Fruit Tree Leafroller, Omnivorous Leafroller, Earwigs, Grasshoppers, Bristly Roseslug, Curled Sawfly, Scale, Spittlebugs, Whitefly, Flower thrips & Leafhoppers. 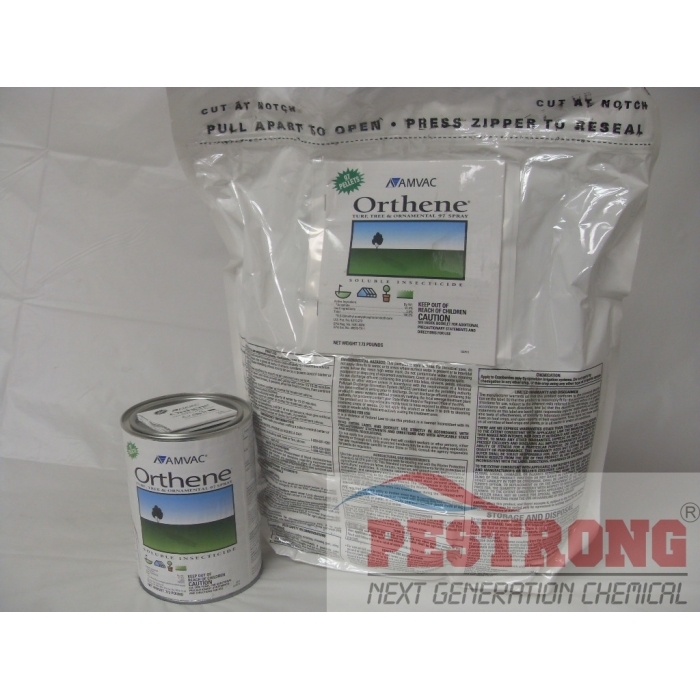 Orthene Turf, Tree & Ornamental Spray is a broad spectrum systemic insecticide that controls many different species of both sucking and chewing insect pests on a wide range of ornamental plants. It can also be used as a turf spray for caterpillars, fleas and others. Back again for more! This product gets the job done right. Just what I need! I have been using this for over 5 years! What I really like is that not only it works for vegetable crops but on sucking and chewing insect pests as well! Thanks pestrong for the great communication and friendly service! I enjoy purchasing your products. I appreciate your great communication and prompt service. Your website is also very easy to use. I'll order again. Thank you! nice product and this guys helped me a lot. this product always worked for me great ! Easy tank mix ratio for the nursery industry. 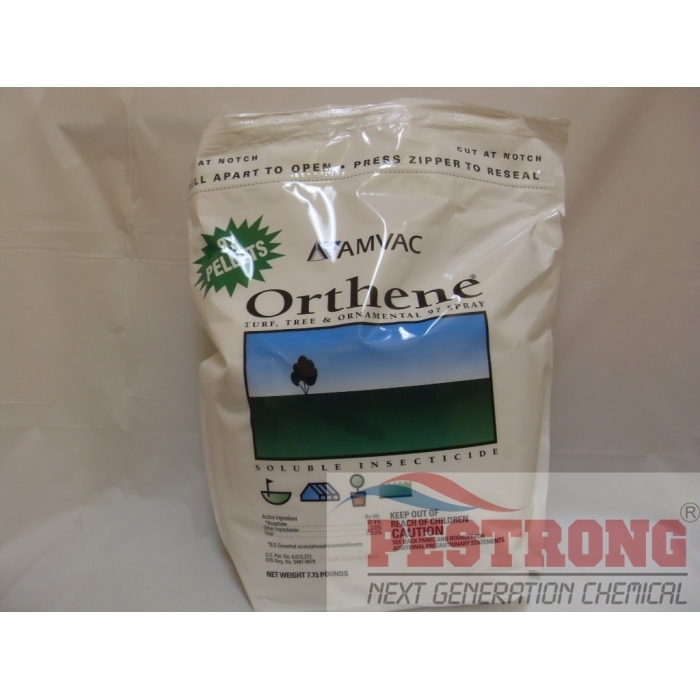 If you want to knock down existing ant mounds quickly at a great price then use orthene. Use this in addition to a broadcast application of talstar and you will provide quick results for your customers. I applied some as instructed. Then later on I saw no live ants under and around mound. You just have to keep using it. I would highly recommend it to any to everyone for whatever ants you have. The last order arrived very fast. I will be using pestrong when possible for products that I need. Thank you very much. I really appreciate your great communication and prompt service. You’re website is also very easy to use and efficient. Shelley.